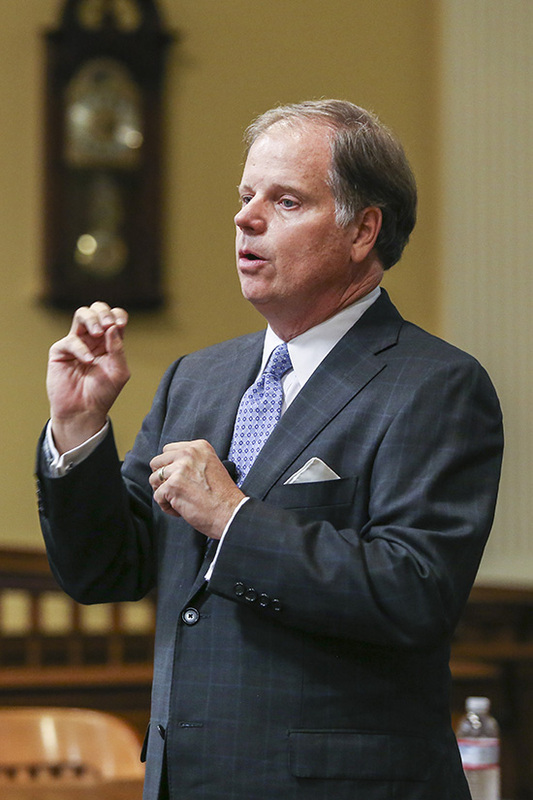 Doug Jones, a 1979 graduate of Samford University’s Cumberland School of Law, was elected Dec. 12 to represent Alabama in the United States Senate. Jones is the latest in a long tradition of Samford University graduates serving in the United States Congress. Jones joins other Samford graduates currently serving in Congress, including Rep. Robert Aderholt ’90 and Rep. Martha Dubina Roby ’01, both of Alabama, Rep. Dennis Ross ’87 and Rep. Charles Crist ’81, both of Florida and Rep. Evan Jenkins ’87 of West Virginia. All are graduates of Samford University’s Cumberland School of Law. Jones is the second Cumberland School of Law graduate in recent weeks to win an election. Randall Woodfin ’07 recently became the first Samford graduate elected mayor of Birmingham. Among Samford’s 50,600 alumni are more than 60 members of the U.S. Congress, eight state governors, two U.S. Supreme Court justices, one U.S. Secretary of State, as well as alumni who have served in elected positions on the local and state levels.